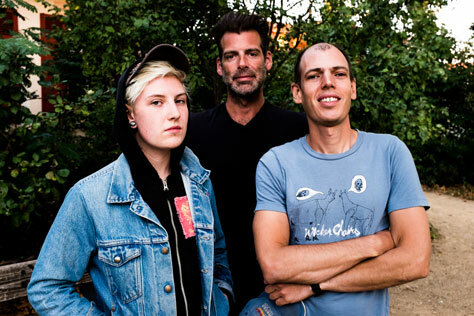 We’re delighted to be welcome Jeffrey Lewis & Los Bolts back – this time, to Soup Kitchen! Jeffrey has done tours in Europe and America and Australia and Asia and elsewhere (averaging over 100 gigs every year since 2001), as well as sometimes playing as the opening act for bands like the Mountain Goats, Daniel Johnston, Stephen Malkmus & The Jicks, The Fall, Pulp, Roky Erickson, The Vaselines, Adam Green and other luminaries. Jeffrey has released seven critically acclaimed albums on Rough Trade Records, in addition to albums on other labels (like K Records and Don Giovanni), and he continues to self-publish his art and writing in an ongoing underground comic book series called Fuff. With current Los Bolts bandmates Brent (Moldy Peaches) Cole on drums and Mem (Cat Tatt) Pahl on bass, Jeffrey has recorded a new full-length album in Nashville with producer Roger Moutenot (Yo La Tengo, Lou Reed, Sleater-Kinney), with release date TBA!